Back to the 1970´s: The Museum of Oslo runs rewinds and gives you pieces of the decade marked by political opposition, Women´s Rights Movement and changes in everyday life. Did you know that the Afghan coat was one of the era’s most stylish garments among the hippies, or that the pizza reached dinner tables in Oslo the 1970´s? The 1970´s left pronounced traces beyond pizza and fashion. Many basic civil rights that we take for granted today – would we have them without the turbulence that took place in the 1970´s? What comes to your mind when you hear «the Seventies»? Is it bellbottoms, and colors of orange and brown? Or is it music, protests and demonstrations? Or maybe you think of higher income, more to spend on brand new equipment, color television and the first charter travels? 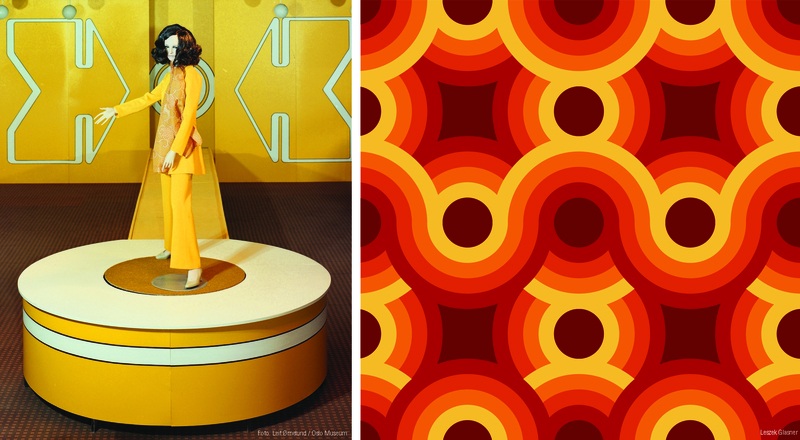 The exhibition gives you fashion, interior design, food and a feel of the 1970´s.